Patient-centered medical homes (PCMH) have been widely adopted by practices as an innovative primary care delivery model that emphasizes care coordination, communication, and partnership with patients and their families.1,2 Because the Medicare Access and CHIP Reauthorization Act of 2015 (MACRA) was designed to reward clinicians in certified PCMHs by giving automatic credit in their quality performance measures,3 adoption of such program is expected to accelerate. It is important to better understand practice characteristics associated with a certified PCMH and its patient care process that is mirrored in MACRA. Although most of the studies in this area have evaluated the effects of PCMH on patient care and health outcomes,1,4,5 the evidence is unclear in the current context of PCMH efforts. To fill this gap in the literature, we analyzed the most recently available data from the 2015 Medical Expenditure Panel Survey (MEPS) and Medical Organizations Survey (MOS). To update characteristics of PCMH practices and compare care coordination services as well as adoption of health information technology (HIT) between practices certified as PCMH and those not. We performed a cross-sectional analysis of person-provider pair data from the 2015 MEPS-MOS. The MEPS-MOS collects information on the practices of office-based care providers identified as a usual source of care of respondents in the MEPS person sample. PCMH status was ascertained from a MOS question about whether a practice is a certified PCMH. We compared practices characteristics between PCMHs and non-PCMHs in bivariate analyses (chi-square or Fisher’s exact and Wilcoxon rank sum tests). 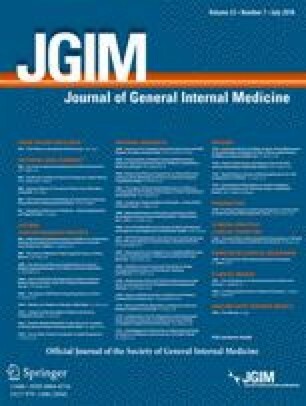 Multivariable logistic regression models were estimated to determine independent associations of PCMH with care coordination services (patient reminders for preventive/follow-up care, post-discharge contact, same-day appointment, and clinical quality of care report) and adoption of HIT. Additional models were estimated to examine those associations further controlling for the interrelationship between these two provider-level variables. All analyses were conducted in SAS statistical software (version 9.4, SAS Institute). This study was deemed exempt from review by the University of Florida’s IRB because the data are publicly available and de-identified. We identified 6824 person-provider pairs that responded to the question of PCMH, estimated to represent 4013 practices (average of 1.7 persons per practice). Among them, 3330 pairs (48.8%; 1958 practices) were certified PCMHs. Bivariate analyses revealed that PCMHs were more likely than non-PCMHs to be non-profit/government clinic and multi-specialty groups and have a greater number of health professions, patients covered by Medicaid, capitated contracts, and base salary payment (Table 1). In multivariable analyses (Table 2), while no significant difference in adoption of health information technology between PCMHs and non-PCMHs was observed (P = .21), we found that PCMHs were more likely to use health information technology for sending reminders for interventions or screening tests (OR, 1.75; 95% CI, 1.33–2.29) and exchange secure messages with patients (OR, 1.90; 95% CI, 1.58–2.29) than non-PCMHs. In addition, we found that PCMH performed significantly better in care coordination compared to non-PCMHs: use of case managers (OR, 2.40; 95% CI, 2.06–2.81), clinical quality of care reports (OR, 2.20; 95% CI, 1.70–2.85), and sending reminders for preventive or follow-up care (OR, 2.13; 95% CI, 1.64–2.77). Even after controlling for the use of care coordination or health information technology, those associations remained statistically significant. Practice uses case managers to coordinate patient care. Our analysis of the 2015 MEPS-MOS data indicated that PCMH status was associated with enhanced use of HIT and care coordination/case management capabilities, which is consistent with previous findings.1,5 Our findings support that adopting PCMH features can improve care coordination process, especially for preventive care services.1 The National Committee for Quality Assurance (NCQA) Recognition Program—the most common PCMH certification—requires practices to demonstrate the use of care coordination and HIT integration in their patient care to be certified as PCMH.2 However, the MEPS-MOS does not provide detailed information on PCMH certificate authorities; thus, our results are limited and we were not able to control for possible variations across authorities. Despite these limitations, our findings could be encouraging for policymakers and PCMH accreditation authorities; PCMH model seems to function in improving care coordination process as intended and this improvement would be favorable for clinicians in certified PCMHs under the MACRA. Hong and Mainous contributed to the study conception and design, and critical revision of the manuscript for important intellectual content. All authors contributed to the acquisition, analysis, or interpretation of data. Hong and Huo contributed to the drafting of the manuscript. Hong contributed to the statistical analysis and administrative, technical, or material support. Huo and Mainous contributed to the study supervision. National Committee for Quality Assurance. Standards and Guidelines for NCQA’s Patient-Centered Medical Home (PCMH) 2014. Available at http://www.acofp.org/acofpimis/Acofporg/Apps/2014_PCMH_Finals/Tools/1_PCMH_Recognition_2014_Front_Matter.pdf.2014. Accessed January 5, 2018.